BMW M3 and BMW M4 are sport cars based on BMW 3 & 4 series. 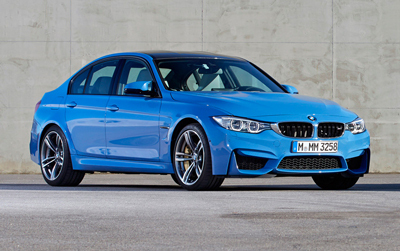 Even both vehicles are sport versions of BMW and have a lot of in common, BMW M3 & M4 are entirely different. The first M3 was produced in 1985, and until now there are five generations of this vehicle. The power of the latest model (E30) is 195hp, and the power of the newest M3 GTS is 450hp. BMW M3 is a powerful sport vehicle. 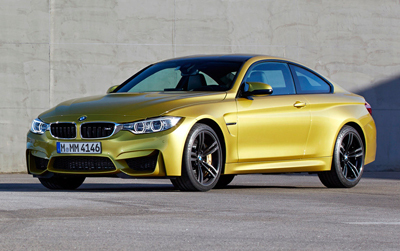 The BMW M4 replaced M3 coupé and convertible models. The M4's engine and gearbox got improved, the weight also got lighter than M3. In April 2014, BMW presented the M4 model in the cabriolet version. 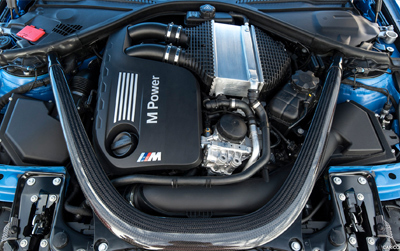 The M4 is powered by R6 3,0 l Twin Power Turbo engine of the 431hp. In October 2015 BMW introduced M4 GTS which is a 700 limited models with the 3.0 turbo engine of 500hp. At ECUFILES.com we work hard to upgrade and improve tuning files, and we want to announce that we've upgraded stage 2 tuning file for BMW M3 and BMW M4. Right now, with our stage 2 tuning file these amazing vehicles can reach 564 hp and 754 Nm of torque. Imagine, how this power would feel when the car is taken for a spin. Mapsensor rescales option also available for stage 2+ to allow for the full potential of the engine. These cars are perfect for daily use, but when your client would like to join some race or tuning events at night, M3 and M4 are vehicles with 3.0 twin-turbo engines that anybody could be proud of, especially after uploading our tuning files and giving these engines amazing power boost. Of course, we don't stop on improving stage 2 tuning files for these vehicles also we have available more tuning files for BMW M3 and M4. With stage 2 you need to do change some hardware parts but if your client would like to keep all the original hardware parts, get the stage 1 tuning file which gives the boost up to 525 hp and 695 Nm of torque. There are no hardware modifications. Just login into our system, upload clients ECU file and get stage 1 tuning file. Of course, if your client would like to have even more power, we are here for you. You can get a stage 3 tuning file for BMW M3 & M4 what gives 598 hp, and 789 Nm of torque and right now, our professional engineers are working on the stage 4 tuning file. Stage 2 already turns BMW's cars into beasts, so you can imagine what the output of stage 4 will be. We are aware that behind the wheel there is a person who drives a machine. An expensive machine... That's why our tuning files are being developed with special and detailed care. Tuning an ECU file can be complicated and time-consuming. While we develop ECU tuning files for BMW M3 and BMW M4, we make sure that our ECU tuning files are safe for the car and the driver. The ECU (engine control unit) controls most of the important part of the vehicle, so mistakes are not allowed. Register and log in to our system to get professionally tuned ECU files for BMW M3 and BMW M4.